After last night's victory, the New England Patriots have won six Super Bowls since the Dallas Cowboys won their last one in 1995. The Patriots' success the last 18 seasons is a sobering thought for any NFL franchise, but especially those who haven't had much success during their run. 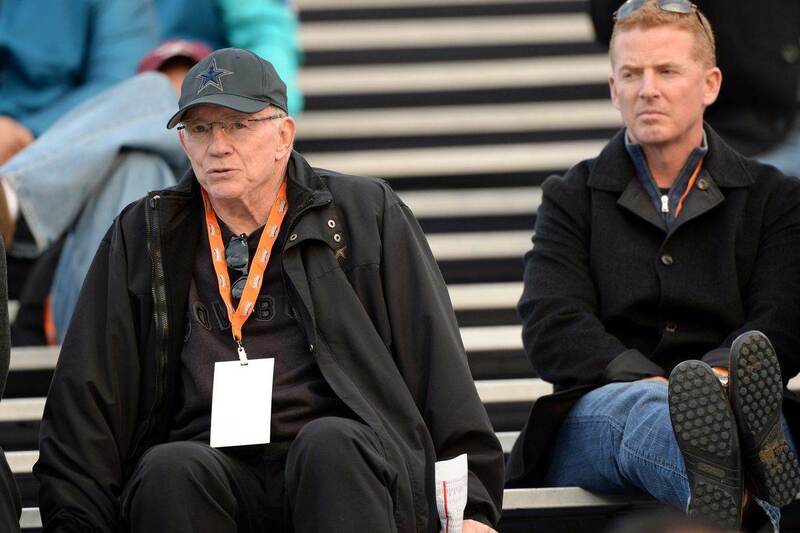 The Cowboys have already started doing things "The Patriot Way" these last few years. They have moved to a much more conservative model of handling their salary cap, refusing to pay big money for older players who are on the decline or even getting close to it. They have also improved their drafting and found more capable players in later rounds, filling out the depth chart more organically. Beyond these more broad philosophies, though, Dallas should learn a few very specific things from how the Patriots beat the Los Angeles Rams last night. After all, it was the Rams who knocked the Cowboys out of the playoffs in the Divisional Round. Today we're going to look at three lessons that Dallas could take from New England's Super Bowl win. 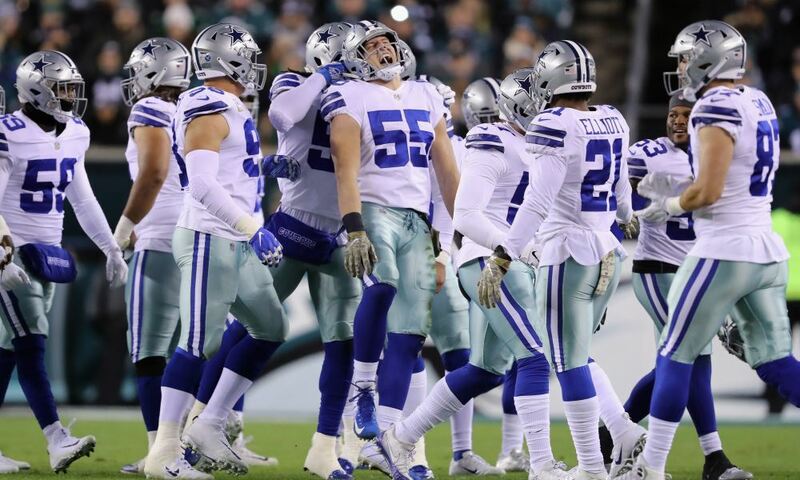 The first involves the Most Valuable Player from last night's game, and what his performance might tell the Cowboys about one of their most important free agents. Tom Brady threw to his favorite receiver 12 times last night, resulting in 10 catches and 141 yards for Edelman. It earned Julian, at 32 years old, his first MVP award in his three Super Bowl wins. The comparison between Edelman and Dallas' Cole Beasley goes beyond their size and skin color. They are both devastating route runners who few can cover. They get open in the short and mid-range passing game as well as anyone in football. Last night we saw the value of that to the Patriots' offense as they were able to control the ball and avoid turnovers, keeping the Rams' offense off the field. Brady was able to play his kind of game, ugly and conservative, utilizing his go-to guys in Edelman and Rob Gronkowski. They combined for 16 of the New England's 21 receptions. Some have argued that Dallas doesn't need to re-sign Cole Beasley this offseason because they already have Amari Cooper and Michael Gallup. But last night's game showed the value of having two proven receiving threats, as Gronk seemed to be getting keyed on by the Rams' defense and allowing Edelman to take advantage. Gallup, despite having a solid rookie year, is far from a bonafide threat at this point. And right now Dallas has no tight end of consequence, and even a high draft pick may not yield one in 2019. If re-signed, Beasley would be one of Dallas' top two receivers in terms of talent. He would need to be properly utilized, of course, which hopefully would get fixed by the recent change in offensive coordinator. Last night showed how much damage a guy like Cole can do when used correctly. And if defenses start to pay him more attention, then you hurt them with Cooper, Gallup, and others. Dak Prescott doesn't want to throw into double coverage or tight windows, so give him a WR who gets himself open as good as anybody in the game. A few weeks ago, the Cowboys' defense got manhandled by Los Angeles. They ran for 273 yards and didn't allow Jared Goff to get sacked once. In fact, only one QB hit was registered by Dallas in that game. Last night, the Rams only mustered 62 rushing yards on 18 attempts. Goff was hit twelve times, four of which were sacks. Sure, everyone can have a bad game. The Rams' offensive line did grade out as the best group in football overall for 2018. But last night showed they weren't invincible, and that perhaps Dallas' defense isn't as strong as we thought earlier in the season. Even after re-signing DeMarcus Lawrence this offseason, as the Cowboys should and likely will do, they still need to give attention to other areas. They need more consistency across the defensive line, with upgrades possible at every other spot. Dallas has plenty of solid guys; Tyrone Crawford, Maliek Collins, Antwaun Woods. But where were they when the Rams were running all over the Cowboys a few weeks ago? Lawrence can't do it alone as a pass rusher, either. Randy Gregory had some good games, but where is a guy who consistently takes advantage of going against a single blocker? 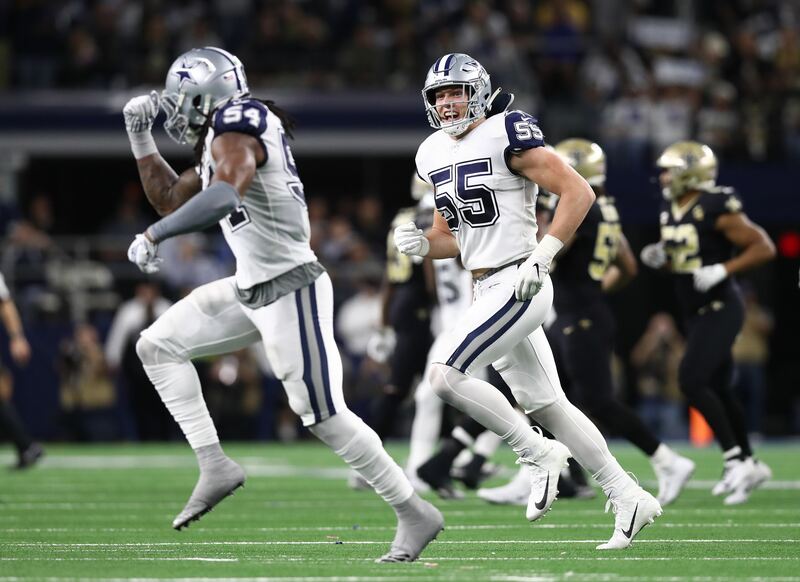 Last night reinforced what some have already said about the Cowboys' 2019 offseason; re-signing DeMarcus isn't enough. They need to make another significant addition on defense, most likely at defensive tackle, to take the group true championship level. Even with Brady, Edelman, and Gronkowski out there as the offensive figureheads, the Patriots didn't neglect their rushing attack. Sony Michel had 18 carries for 94 yards and the game's only touchdown, while Rex Burkhead threw in 43 yards on seven carries. Dallas can learn two things from this. One; Ezekiel Elliott is better than just about anyone that's ever played RB in New England (the exception being Curtis Martin). He's the best offensive weapon that Dallas has and he should be leaned on in just about any situation. Scott Linehan seemed to forget that at times last year. But more importantly, there's a need for some variety in the run game. Rod Smith is basically a lesser version of Zeke, and what Dallas needs going forward is someone who brings a true change of pace. Elliott can do it all, even go line up at receiver, but he still has a specific kind of athleticism. Having a guy like Burkhead who offers a different style of running from your lead back brings new wrinkles and works against the expectations that defensive players build up throughout a game. Granted, Dallas needs more from its passing game at times to open up the run. There's only so much Elliott or anyone else can do if defenses are happy to load up the box and force Dak Prescott to beat them. This season it felt like Dallas suffered some identity crises at times on offense. Part of that was due to health issues on the offensive line, with All-Pros missing time and limiting their typical rushing dominance. But there were several games were Zeke was averaging 5.0 or more in rushing and then wasn't getting the ball, leaving us all shaking our heads and calling for Linehan's. 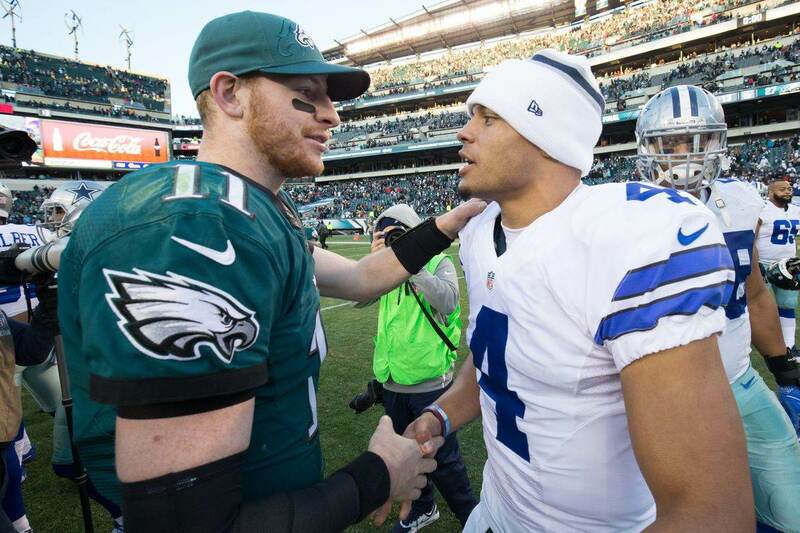 Like the Patriots did last night, Dallas needs to remember to lean on its strengths more. Remember who your RB and QB are, and find the right mix again to make both effective. They haven't really had that since 2016. Hopefully Kellen Moore will do a better job.